Cloud Incubator HUB, leaders of MERLIN, was launched in 2011 by the Universidad Politécnica de Cartagena to build an startup ecosystem in the Region of Murcia (Spain) integrating young tech entrepreneurs, mentors, corporates, artists, designers, media, investors, regional institutions and authorities. BluSpecs Innovation is an innovation agency founded in 2014 to drive innovation and entrepreneurship in all forms from budding entrepreneurs and microenterprises to large multinational corporations. Headquartered in Madrid, Spain, it is focused on the Spanish, Irish and British markets with activities in each country. 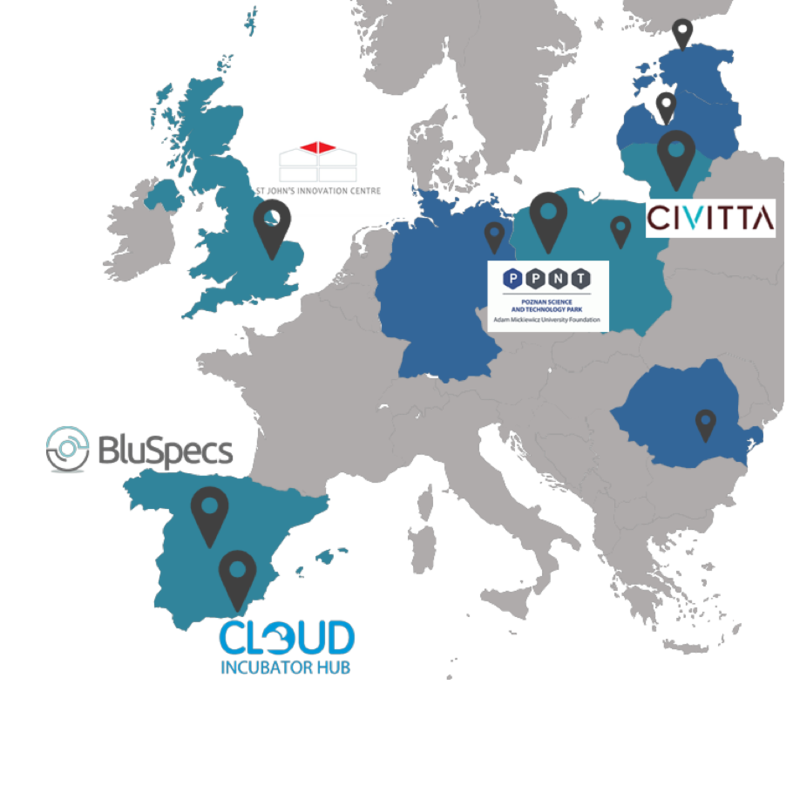 Civitta is a leading management consulting firm in Central and Eastern Europe region. The company was established in 2010 and has grown to an international strategy consultancy with 200+ professionals. Innovation and entrepreneurship support is one of the core activities of the company.